Sorry I didn’t realise someon had posted the same link underneath my comment! Female picked up Barnsley on Facebook page for Dog Trapping Team - helping dogs in need. Worth a look. Bravery is still missing. Have shared again to various FB pages / groups. Cant see markings clearly but could this be found beagle 109195? Not convinced but might be worth a look. Hard to match markings from Bravery's photo'. Owner will know immediately. Still cross checking against any dogs similar to Bravery. Have asked if there is any update? The more posters that go up the better. You can put Bravery on local radio ie mix 96. Put a couple of posters in Royal Mail post box these are usually taken back to their depot and displayed. Estate agents & florists are also other good places to ask if they can display a poster. Also put one in your car window and ask friends if they will. Have asked if there is any further news. Have the police been informed? Have we anymore news? I saw a dog similar to this running down the middle of the road on Ashdown Forest towards Hartfield, near Wrens Warren where the other Beagle was found. This one looked like it was possibly a working Beagle. This was last Saturday about l pm and it turned left onto the grass verge. It is possible that it belonged in there but it looked pretty frightened. There is also a 'travelers'site not too far away at Wheatley! Sorry I am unable to help with any search as am looking after my dog who has just had major surgery, my hubby will keep eyes peeled when he drives round Long Crendon and Thame area today, Moreton is just down the road. There is a vet practice at the motorway service area at M40 Junction which I think is 8 or 8a ( Thame ) so good idea to advise them, also the Oxfordshire Golf Club which is nearby, and also Lord Williams School nearby as there is a lot of open space and the children may be able to spot her when they are out and about. Sprinz and Nash are the Thame vets, I will try to look for the number, hopefully there will be a sighting if she has not been stolen. So she could have escaped herself or she could have possibly been stolen? 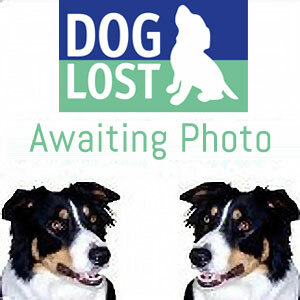 Hi Martyn whereabouts was your dog lost from. More info you can give will help people who live locally to keep an eye out or physically search area etc. Alerts sent to helpers in OX9,39. Sorry to see that BRAVERY MISSING THREE YEARS is missing.